Secrets kept for decades, soul deep love, friendships carved from granite and “family,” made Karen White’s DREAMS OF FALLING an edgy, emotional journey that could be both intriguing and off-putting in nearly equal measures. A young woman must go back to the world she swore never to return to when her mother goes missing. Found badly injured in the ruins of the family rice plantation, Ivy now lay comatose while her friends and family gather around her, each lost in their own thoughts of how she ended up where she is. Some know the answers, some will do anything to keep long-held secrets and some, like Larkin are clueless and demand answers. What Larkin will discover will expose decades of lies, betrayals and fierce loyalties, as she learns truths that were hidden from her for her entire life. Will these revelations finally free Larkin to be who she was meant to be and bring her home again? See through the eyes of numerous characters, jumping from past events to the present, even the thoughts of the comatose Ivy will be heard. What starts out promising to be a magnetic and intense read becomes a twisted soap opera that runs alternately as slow as molasses and fast as fire in the wind. 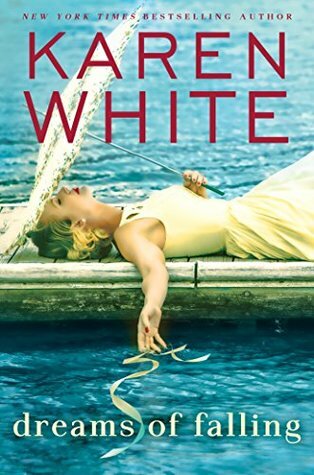 Ms. White doesn’t ask us to like her characters, she has made them flawed, deceitful and sometimes purely self-serving. There are those who are victims, those who are villains for the right reasons and those who never see beyond themselves. For me, this was a love it, hate it read that could get too bogged down in its own shocking twists that felt so jarring they seemed too ill-fitting and too over-the-top. Don’t get me wrong, I did enjoy the read in its totality when it was over, but I just didn’t end up feeling things felt/went right, good or bad.